Darshan, Accommodation, Travel and Food Charges are included. Darshan slot Time 10:00 am. Reporting required before 10:30 am. Ticket requirement Ticket required for 12 years and above. Accommodation in Tirupati Near to Alipiri Mettu Or Bus station or Opp. Srinivasam complex. Check-In/ Checkout 24 hours check-in Policy. Room allotment Twin Sharing Basis. Extra bed allowed if possible. Food Menu Breakfast, Lunch, Dinner. 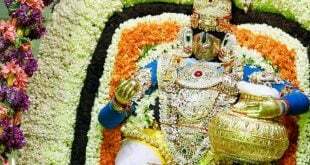 Tirupati Packages from Top cities includes all charges. Darshan package can be booked one day in advance if tickets are available. Limited Tickets on any day. Budget/ Luxury Packages are available for the booking. 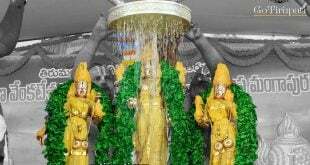 Tour Guides will be assisting the devotees in Tirumala. Required to carry Darshan package printout.